One person died and 26 others injured when the bus that they were travelling overturned on the R600 highway, ahead of the Spionkop Dam offramp this morning (Monday, 15 April). 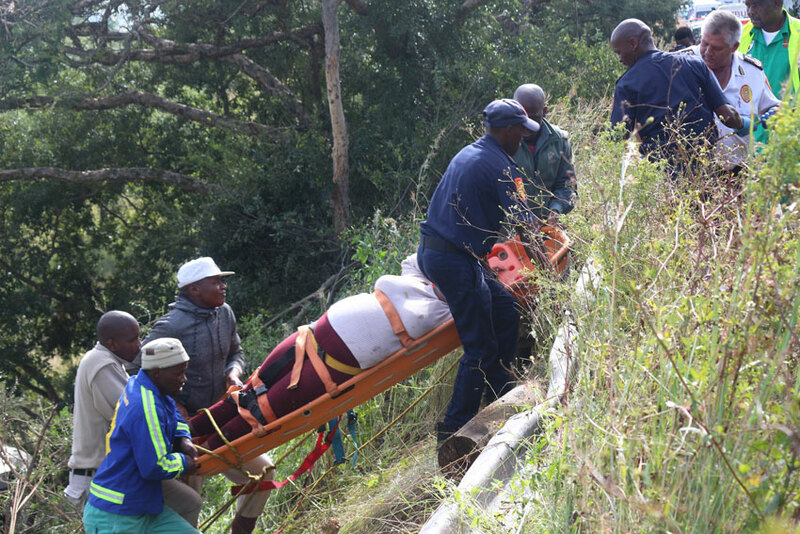 The bus, ferrying passengers to the Emmaus Provincial Hospital, Ladysmith, careened down a steep embankment, come to rest against a fence. Witnesses said that the accident scene was something out of a horror movie as people were screaming, as passengers flung around inside the bus as it rolled down the embankment. Among the injured was a small baby and children. As details from the accident remain unclear, Winterton police continue with investigations to the cause. 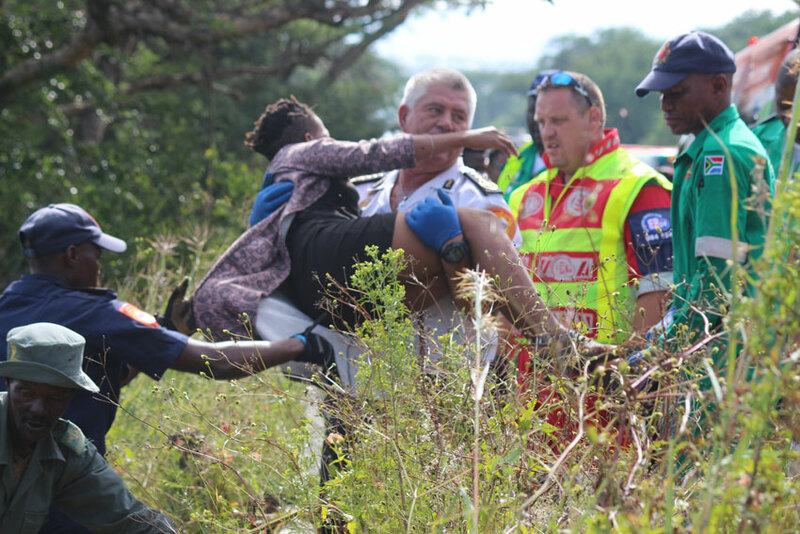 KZNEMS, ER24, SharajEMS and InnovaMed ambulances were at the scene of the accident with paramedics attending to the injured, while Okhahlamba Search and Rescue assisted with the recovery of the patients from the bottom of the embankment. 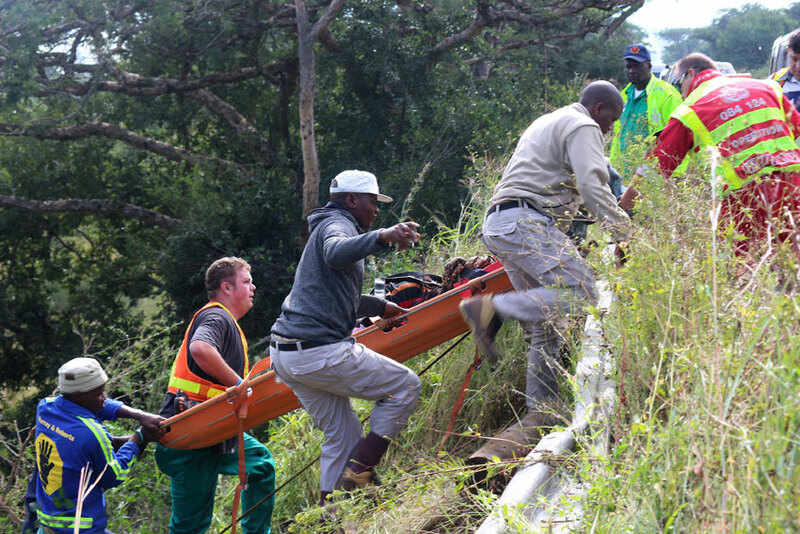 Police officers and Ezemvelo KZNWild were also among the rescue teams that assisted. The injured were taken to the Ladysmith Provincial hospital.